In a series of enlightening, dramatic and moving films, former Royal Marine officer Bruce Parry immerses himself in the way of life of some of the most remote tribes in the world. Parry sets out, not just to observe, but to experience and learn about the lives of these remarkable people. He hunts, cooks, eats and sleps with his hosts - and even tries their ritualistic drugs. Shedding the trappings of western life, Parry reveals not only the practices and traditions of those indigenous peoples but also their warmth, humour and incredible resilience. Along the way he shares roasted rat cake with the Himalayan Adi; joins the Dassanech, a tribe from the Omo Valley in Southern Ethiopia, on a night-time crocodile hunt; leaps naked across the backs of a line of cattle in a Hamar coming-of-age ritual, and, with the Sanema of the Amazon, attempts to become a shaman, by taking a massive dose of p[sychoactive tree sap. I can't praise this series enough. Saw an episode on tv and was immediately hooked. This 'normal' guy goes native with various tribes around the world, living as one of them, experiencing the most amazing customs. Parry (unlike Bear Grylls) manages to remain humble and genuinely earnest, and he is typically adopted into the families, and normally his departure from the tribe a month later is a gut wrenching tearful farewell. Based on the true story of Thailand's famed transvestite kickboxer, Beautiful Boxer is a poignant action drama that punches straight into the heart and mind of a boy who fights like a man so he can become a woman. A fairy tale - literally, based on truth. Over-sentimental and gentle, it is neither action, drama or impacting. This film bored me senseless, and only warrants a 3/10 due to the brilliant cinematography and convincing acting of the lead role. Academy Award® winner Jodie Foster and international action star Chow Yun-Fat star in this epic true story of a woman who challenged the heart of a king and inspired the destiny of a nation. English schoolteacher Anna Leonowens has traveled to Siam to educate the fifty-eight children of King Mongkut. If she has preconceived notions about the East, the King has similar notions about the West. But amid the danger of growing political unrest, their respect for each other slowly turns into something more. A joy to watch, superb acting by Foster and Yun-Fat, great 'based on fact' storyline and splendid momentum contributed to make this an 8/10. The initial culture clash, political background, and developing respect and love between Anna and King Mongkut are brilliantly directed and a film that would happily be enjoyed by all ages. Rugged Captain Alan Gaskell (Clark Gable) sails the perilous waters between Hong Kong and Singapore with a secret cargo: a fortune in British gold. That's not the only risky cargo he carries. Both his fiery mistress (Jean Harlow) and his refined fiancee (Rosalind Russell) are aboard! I have viewed better acting at a kindergartens nativity play - to say this film is pants is flattering it. It is bad in every way, the only way I can give it a 2.5/10 are for the ridiculous stormy sea scenes which really made me laugh, and Jean Harlows breasts Avoid this! the only way I can give it a 2/10 are for the ridiculous stormy sea scenes which really made me laugh, and Jean Harlows breasts Avoid this! Surely that's a "3" then? Plot:When the Khmer Rouge captured Phnom Penh in 1975, many thought the killing would end. Instead it started a long nightmare in which three million Cambodians would die in the "killing fields." 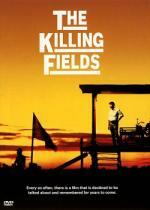 'The Killing Fields' is an epic story of friendship and survival produced by David Puttnam ('Chariots of Fire') and directed by Roland Joffé ('The Mission'). Sam Waterston plays Sydney Schanberg, whose war coverage entraps him and other journalists. Dr. Haing S. Ngor is Dith Pran, Schanberg's aide and friend who saves them from execution. But Pran is sentenced to labor camps, enduring starvation and torture before escaping to Thailand. Ngor also endured Khmer Rouge atrocities and saw his moving, Academy Award® winning portrayal of Pran (one of the film's three Oscars®) as a way of bringing his nation's tragic ordeal to light. Being a big fan of Auf Wied this was always going to appeal. Nothing ground breaking or different from the series, this special was a final hurrah for the travelling brickies from the UK, and their ages dictated that as they were pushing it for this feature. A solid 6/10, but only for existing fans. Two master warriors (Chow Yun Fat and Michelle Yeoh) are faced with their greatest challenge when the treasured Green Destiny sword is stolen. A young aristocrat (Zhang Ziyi) prepares for an arranged marriage, but soon reveals her superior fighting talents and her deeply romantic past. As each warrior battles for justice, they come face to face with their worst enemy - and the inescapable, enduring power of love. A man is inexplicably kidnapped and imprisoned for 15 years and his wife is brutally murdered. On his release, he is given a wallet full of money and a mobile phone. A stranger calls and asks him to try and figure out why he was imprisoned. A girl appears and promises to help him solve the enigma and seek vengeance for his cruel fate. As the search progresses, the man finally comes face to face with his kidnapper, who proposes a game: if the man discovers the reason for his imprisonment, his kidnapper will kill himself. If not, then the girl will be killed. He has only five days to unravel the mystery. My prevailing image that remains from the film is the torture by means of removing the guys teeth with a claw hammer man that was awful! Plot:A desperate village hires seven samurai to protect it from marauders in this crown jewel of Japanese cinema. No other film so seamlessly weaves philosophy and entertainment, delicate human emotions and relentless action. Featuring Japan's legendary star, the great Toshiro Mifune, Akira Kurosawa's Seven Samurai is an inspired epic, a triumph of art, and an unforgettable three-hour ride.